I want to thank Shalom Gloiberman for giving me this picture, of the Rebbe Maharash megila. 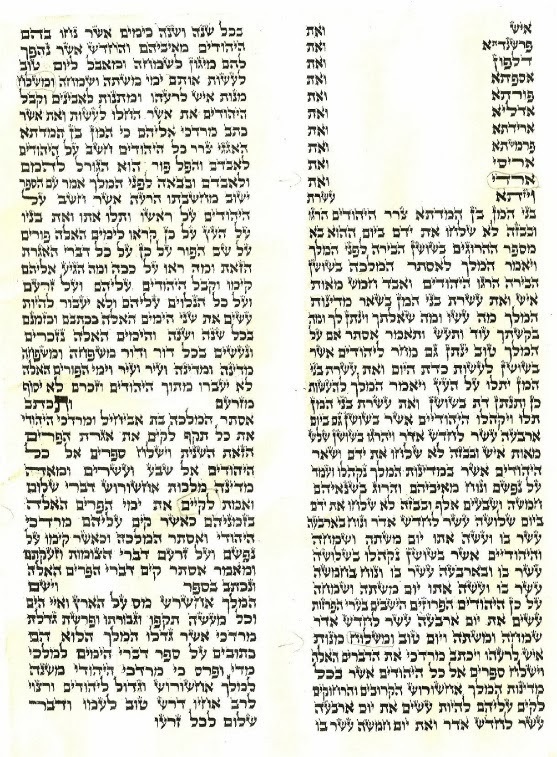 I wrote on my hebrew forum a essay in regard to the aseret bnai haman, in this form. This megila was written approx. 1870-5, and was given to his son Rabbi Shalom Dovber, and was inherited by Rabbi Yosef Yitzhak the Lubavitcher Rebbe (grandson of Maharash).